This month I went into all 5th grade classrooms to let student’s know about the IBMYP (International Baccalaureate Middle Years Program)! The IBMY Program is a HCPS speciality center program offered for grades 6-8 and can be continued through grade 9-10. Students who are motivated and like a challenge are encouraged to apply. Below is a flyer for the Open House that is held at Moody Middle School on October 16th for those that are interested. If your student would like an application, please contact me or have your student see me so that I can go through the application process with them. The program looks at 4th and 5th grade report cards, NWEA scores, teacher recommendations, and a writing prompt. I am looking forward to working with all of you at Lakeside this school year. This first month, I will be visiting all of the classes to introduce my self to new students, provide an introduction to my job at Lakeside, and to let them know how they can see me if they have a problem! In Kindergarten, we used Mr. Potato Head to introduce my role to the students. Student’s learned that I use my ears to listen, that I have “helping hands,” and eyes to see the good choices they are making and to help them fix the bad choices they might make! We also talked about how I can help them calm down and I taught them belly breathing through this Seasme Street video! In 2nd and 3rd grade we discussed different types and sizes of problems. There are Windy problems (No biggie), Rain problems (I can be a problem solver or ask an adult for help), Stormy problems (I need an adulty), and Tornado problems (Emergencies). We learned different hand signals to help us remember! In 4th and 5th grade we talked about what leadership means and learned about all different types of character traits! Students reflected on what leadership/character traits describe them and also which ones they want to be more like this year! Each individual student then picked a leadership/character trait and wrote examples of how they can be like that this year at Lakeside! With student permission, some of those will be hanging throughout the school! It has been great to see new and familiar faces in the classrooms this month! Please let me know how I can help support you and your student this year! It has been a busy Spring! In March, guidance lessons were focused on Career Development! Students learned about different careers, had the opportunity to explore careers of their interest, and 5th grades learned their Holland Personality Type! We kicked off the month with a Career Day for our 3rd-5th graders! Thanks to all the presenters! Look below for some pictures of the event! Attention 5th Grade Parents! Important Information! It’s that time of year when we are beginning the Middle School Scheduling process!! Can you believe it?! In January, Moody Middle School Counselors will be visiting our 5th graders to answer any questions they may have about middle school! We will be using the POWERSCHOOL system and Parent Portal for the scheduling process. If you have not made a Parent Portal account this year to look at grades, please do so! Directions to create a Parent Portal account are linked and have been sent home with your child! January- 16th- 28th- 5th grade teachers make course recommendations for each student’s CORE CLASSES. Teachers DO NOT choose the electives for students. 6:30-8 pm at Moody Middle School– Parents and students will have the opportunity to ask questions and learn more about Moody Middle and the opportunities in middle school! March 5th, 2018- Recommendations sent home for parent signatures (parent signature is only needed if a change needs to be made). March 14th – Signed recommendation sheets due back to Ms. Carney if changes need to be made. This can be an overwhelming process! Please feel free to contact me at 261-5050 or jacarney@henrico.k12.va.us so I can help you! October 23rd-27th is RED RIBBON/ANTI-BULLYING Week! Below is the flier for the spirit week activities and spirit wear. At Lakeside our theme is Be a HERO! Monday, November 6th-– Internal Deadline for Applications– All students must turn in their Application/Student Information sheet to Ms. Carney by the end of the day. Welcome Back Lakeside Super Heroes!! Welcome Back Lakeside! I am so excited for the 2017-2018 school year! The beginning of the school year is busy and we have a lot of great things planned! 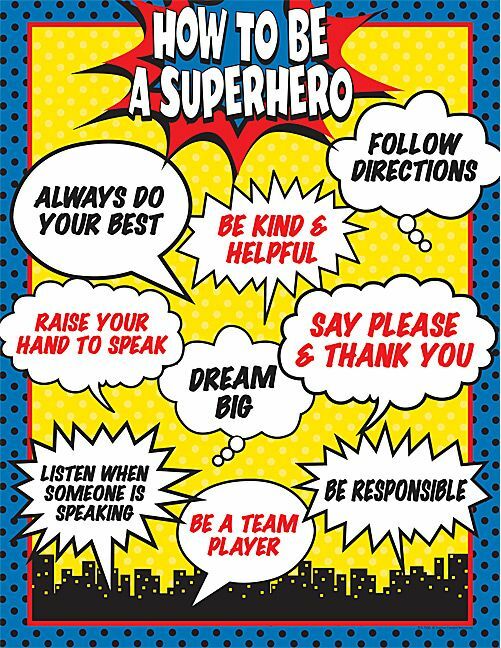 Students will be taking the first few weeks focusing on reviewing and learning our school wide expectations: Be Respectful, Be Responsible, Be Ready, and Be Safe! Classroom guidance lessons start this month and I will be in each class talking about the role of the school counselor and how I can help your student(s) this year! I look forward to working with everyone. Please feel free to contact me with any questions or concerns! On March 10th, our 3rd-5th grade students got to hear from community members about their careers! We believe it is important to connect what we are learning today to the future! Check out some pictures below! Thanks to all the presenters who volunteered their time! The month of October was a busy one! During classroom guidance lessons this month we focused on Respect! Tuesday- We mixed it up by wearing mixed matched socks and focused on finding a new friend to talk to at lunch and recess! Wednesday- We all wore orange to say “Boo to Bullying”- Each student also received a sticker to promote respecting others! Thursday- We wore our work out gear to show we make healthy choices about our bodies! Friday- We wore Lakeside gear– we are all on the same team!! We are back into the swing of things at Lakeside! Throughout the month of September I have been into each class for a “Intro to the School Counselor” lesson. Students were reminded of what my role is at Lakeside and how I can help them throughout the year. We had a lot of fun and it was great to see students from last year and some new faces! New Student Lunch Bunches- We have many new faces at Lakeside this year! Throughout the month of September I have been conducting lunch bunches to introduce myself to all new students and to help them feel more comfortable at Lakeside. Super Leopard of the Month- As a PBIS (Positive Behavior Interventions and Support) School we are focusing on our 4 schoolwide expectations- Be Respectful, Be Responsible, Be Ready, Be Safe. Each month a new student from each class will be recognized for following our expectations! Students will be announced on the morning announcements, receive a certificate and a treat, and get their picture on the Super Leopard of the Month board in the cafeteria! Applications for the IB program are now available! I have gone into each classroom to introduce the IB program to students and the application process. I will meet with each student to discuss the application and what needs to be completed. Please contact me with any questions! **For more information check on the Middle School Transition/IBMYP Link on my page.